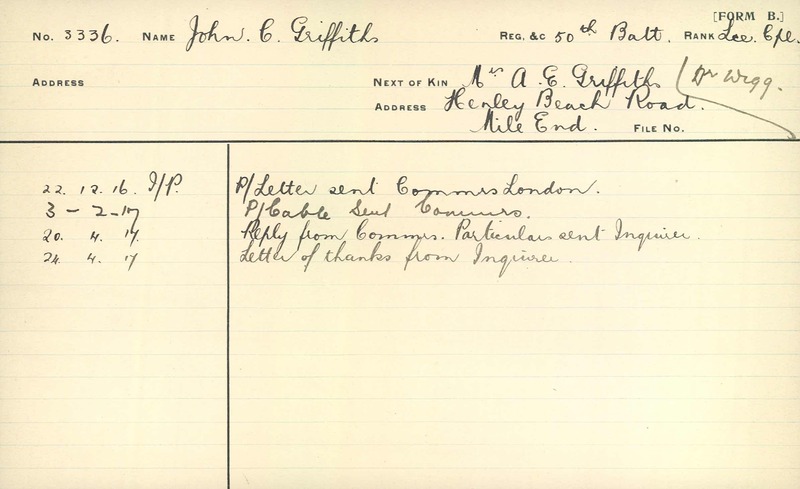 Lance-Corporal John Caddawallader Griffiths, who died of wounds at the 10th General Hospital on December 9, was the second son of the late Mr. John Griffiths (one time headmaster of the Walkerville school) and Mrs. Phoebe Griffiths, of Hackney-road. Lance-Corporal Griffiths was for many years employed in the Loco Department of the South Australian Railways, and was well known in cricket, football, and musical circles. Before he enlisted his pleasing tenor voice was frequently heard at charity entertainments and socials, and his ability as an entertainer considerably enlivened the weary hours of the men at the front. 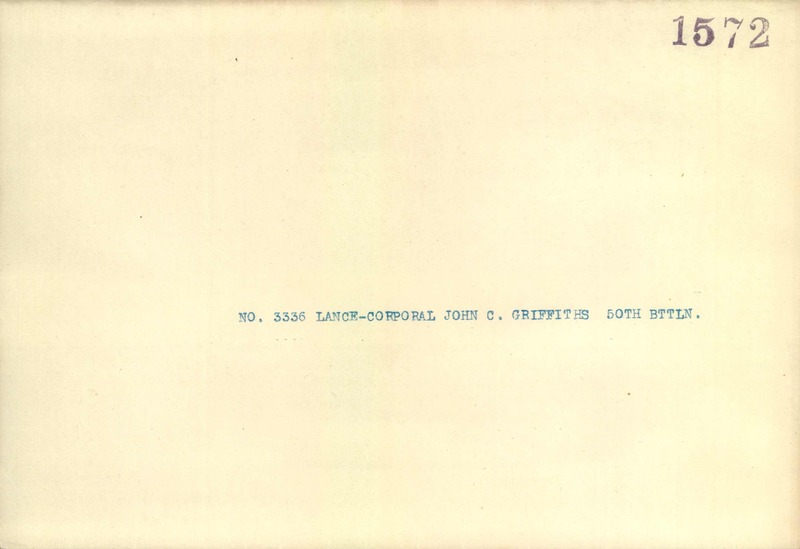 Of the seven descendants of the late Mr. John Griffiths of a military age three (Lieutenant Westerfield Baker, Private Ainslie Griffiths, and Lance-Corporal Griffiths) have lost their lives fighting for their country. Of the remaining four three are on active service, and one has been rejected for service by the military authorities. Lance-Corporal Griffiths left a widow, one son, and one daughter. 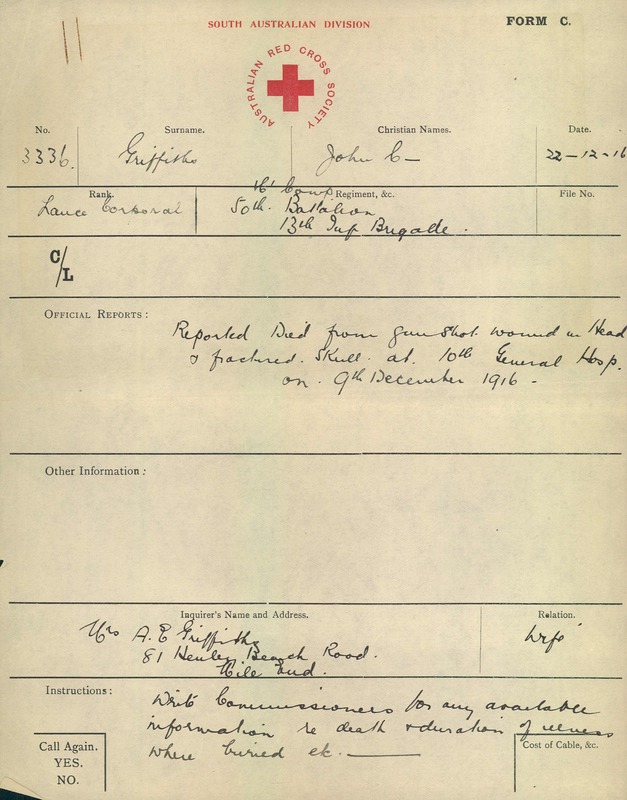 At this time last year the family were mourning the death of Private Ainslie Griffiths, who was killed at Gallipoli.